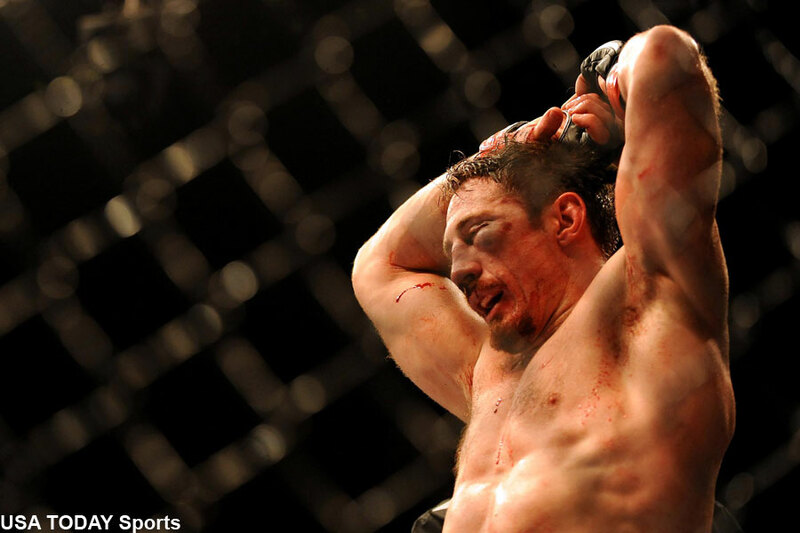 Tim Kennedy’s (pictured) face was a battered and bruised mess following Saturday’s shootout with Yoel Romero. However, Kennedy’s mug wasn’t what had him irate after UFC 178‘s highly controversial loss. After losing the opening stanza in convincing fashion, Kennedy bounced back and was giving a winded Romero the business in the second round. The Cuban appeared to be out on his feet as he staggered back to his corner when the horn blared. To help buy Romero some extra time to recover, his corner pretended to forget to pull the stool from the cage before the start of the final frame. Kennedy was already approaching Romero to fight, but referee “Big” John McCarthy told him to go back to his corner. McCarthy then told Romero’s corner to wipe the excess Vaseline from his eye and wipe his body down. The trick worked, because Romero found his second (or third) wind when the round finally started and clobbered Kennedy with some bombs to end the shootout in dramatic – and controversial – fashion. UFC president Dana White said on the Fox Sports 1 post-fight show that the stool stunt is “the oldest, dirtiest trick in combat sports.” At the same time, White said the UFC shares in the blame because the UFC cutman put far too much Vaseline on Romero’s eye. Romero approached Kennedy immediately backstage, but the former Green Beret wasn’t having any of it. There are reports Kennedy’s team plans on protesting the defeat, but it is unlikely the Nevada Athletic Commission will overturn the loss. UFC 178 took place inside MGM Grand Garden Arena in Las Vegas.